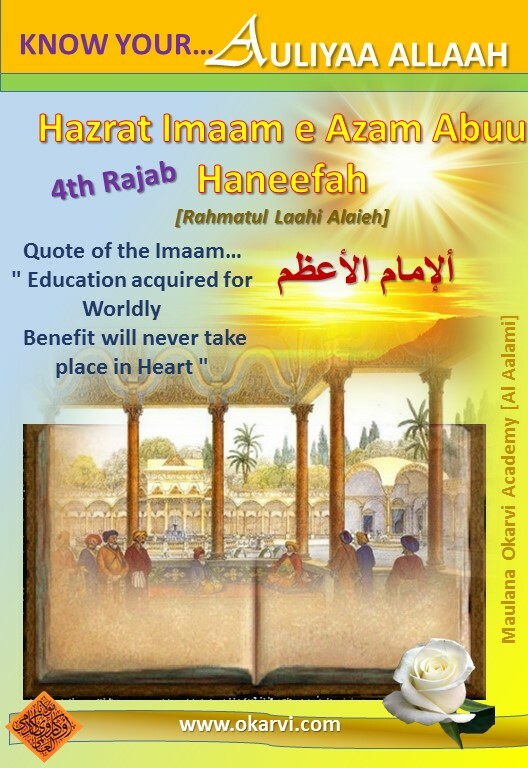 Benefit will never take place in Heart"
Hazrat Imaam Abu Haneefah [Rahmatul Laah Alaieh] was the founder of the Sunni Hanafi school of fiqh (Islaamic jurisprudence). He is also considered a renowned Islaamic scholar and personality.He is often called "the Great Imaam" (ألإمام الأعظم, al-Imāam al-Aʿẓam). Hazrat Imaam Abu Haneefah [Rahmatul Laah Alaieh] was born in 80A.H, in the city of Kufaa in Iraq, during the reign of the Umayyad Caliph Abd al-Malik ibn Marwan… living in the time when there were still some Sahaaba living. He saw the famous companion, Anas Bin Maalik [Radiyal Laah Anhu] and six other companions too. 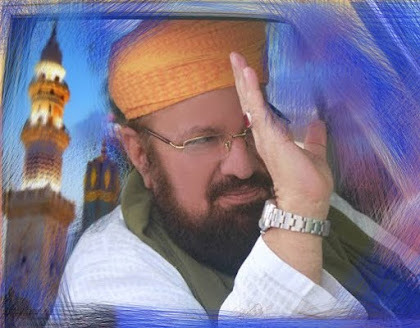 He learnt Ahadees from a group of Taabi’een, and spent much of his time in worship. 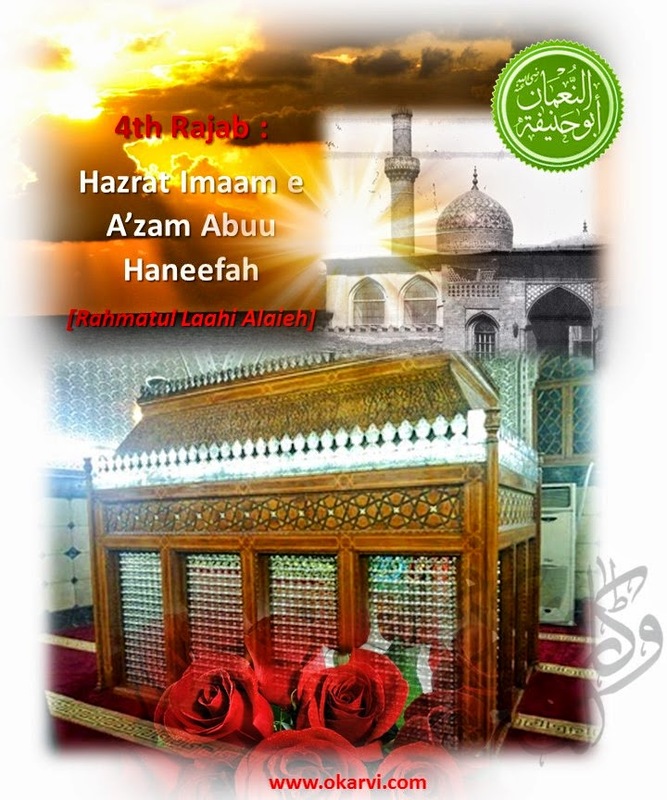 Hazrat Imaam Abu Haneefah [Rahmatul Laah Alaieh] is regarded as one of the greatest jurists of Arab civilization and one of the major legal philosophers of the entire human community. He attained a very high status in the various fields of sacred knowledge and significantly influenced the development of Muslim religion. During his lifetime he was acknowledged as a jurist of the highest caliber. Outside of his scholarly achievements Hazrat Imaam Abu Haneefah [Rahmatul Laah Alaieh] was recognized as a man of the highest personal qualities: a performer of good works, remarkable for his self-denial, humble spirit, devotion and pious awe of [God] Allaah Kareem. His tomb, surmounted by a dome erected by admirers in 1066 is still a shrine for pilgrims who visit from all over the world in Baghdad Shareef.